Gutters are an important part of your home’s wellbeing. They control the flow of rainwater in order to protect the roof, foundation, walls, and landscape and when they are neglected they can turn from being a necessity to being a nightmare. 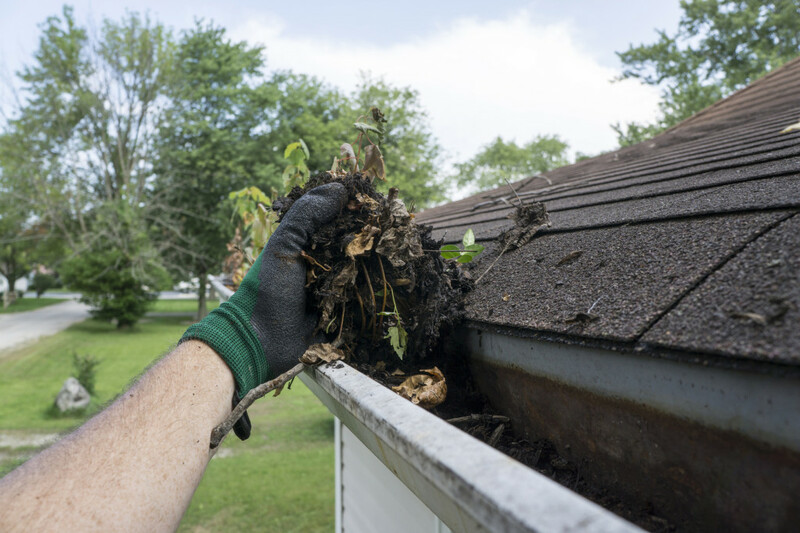 A gutter that is clogged with debris, such as sticks, leaves, and even shingle debris, can cause a leaky roof or water damage to the interior and exterior of your home. Dirty gutters also make a nice home for rodents, pests, mould, and bees. If you let gutter cleaning to fall by the wayside, it may end up costing you hundreds or even thousands of dollars. Gutters are a potential breeding ground for critters and insects and if you let them stay out of sight, then they’re out of mind. How often do they need to be cleaned? Depending on where you live and how many trees are in your yard, gutters should be cleaned in the spring and the fall. In the fall, you should call a service like roof cleaning in Perth when the leaves are almost gone or all the way gone from the trees. It’s important to have a professional clean your downspout because a clogged downspout makes it difficult for the rain to flow down. This causes the gutters to back up and overflow the entire system, which causes damage to the home. It’s a good idea to judge how often the gutters need cleaning by figuring out the fall rate of leaves in your area. It should be on your to-do list every four months, depending on the amount of trees in your yard and your climate. Cleaning your gutters of debris and leaves a few times a year will protect your home from water damage. Leaf guards will decrease the need for gutter maintenance, but it’s important to note they do not eliminate the need completely. Rather than every four to six months, a gutter with a guard will need to be cleaned once every year. The frequency of maintenance depends on the quality of the cover and the type and amount of trees in your yard. In addition to water damage being done to the home, rainwater that isn’t directed away from the home’s foundation can cause the landscaping around the home to be damaged. Even if you have gutter covers, you or someone else should do a visual check once a year. A guard will not keep all the debris out. Up to 20 percent can still get into your gutters, and you have to remove the guard to clean the gutters. It’s best to have a professional come in to clean your gutters because they can tell you if anything is damaged and they have the safety equipment to do it properly. Having them get onto a ladder is much nicer than having to purchase the ladder and drag the hose up with you to clean out the gutters—saving yourself that risk.